CLEVELAND, OH (WOIO) - Looking for a new restaurant to try this weekend? Look no further than your smartphone and CLEseats. "It will take you right to the restaurant's page which has their full menu," Lauren Kluth said. She launched CLEseats, a website and mobile app that offers outstanding restaurant specials. Restaurants are searchable by price range, food type and location, from Downtown Cleveland to The Flats, from Pura Vida to Great Lakes Brewing Company. "CLEseats helps us by getting the word out about our daily specials," Manager of Great Lakes Brewing company Bob Voss explained. "We also give 10% off to people who use it." Get the promo code off the app and show it to the server. It's that simple. 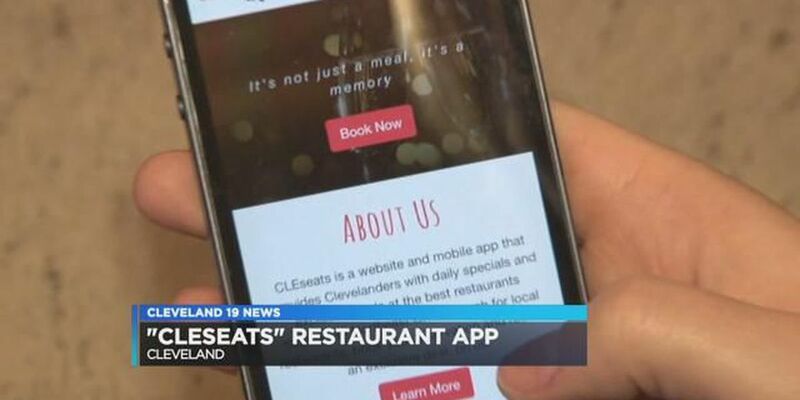 The savings drive customers to the restaurant pages, then they can see the other deals they have to offer, but CLEseats doesn't just let you peruse through some of the hottest restaurants near you and save you money. You can also make reservations. "It's a combination of yelp, groupon and open table all in one," described Kluth. And it's all absolutely free. "I want it to be that one-stop-shop where people are maybe between going to two restaurants and they check CLEseats and see 'hey this restaurant has a band tonight. This restaurant has trivia night,'" added Kluth. "They can see it right there. It has every single menu too." Right now the app is iOS compatible, with Android capabilities being added soon, but remember you can get all the deals on the CLEseats website also. Follow it on Twitter and like it on Facebook.